Saule is a first year BSc Music, Sound and Technology student. London is a hectic metropolis. Sometimes its fast-paced nature leaves me overwhelmed but I guess this is the price you pay for living in, probably the most, diverse cultural city in the world. The diversity doesn’t stop at the people: The Food, art and music scenes are so varied and have so much to offer. A fresh Londoner faces the inevitability of having to make the difficult decisions of choosing where to spend your time and money! But the venues and clubs that are, in my opinion, definitely worth visiting around London are Roundhouse, The Old Blue Last, The Laundry E8, Old Street Records. Also, near our campus, at City, there are great music venues, including: a great venue called Islington Assembly Hall that hosts gigs of musicians from all around the world and the legendary club Fabric, which recently arose from the ashes, and to me is hands down the best club in London. I have to admit I spend most of my disposable income on gig tickets: Next I am going to see Band of Horses at Troxy. Some of my favourite bands include: Radiohead, Broken Social Scene, My Bloody Valentine, Preoccupations, Baths, Chad Vangaalen, Sparklehorse, Elliott Smith… I have way too many favourites to name them all. Recently though, I have been listening to a lot of Warpaint, Pavement, Unknown Mortal Orchestra lately, and I am also looking forward to the upcoming releases from Arcade Fire, Queens of the Stone Age and Fleet Foxes. London is a big city, so one of the advantages of a quite small course like the Music, Sound and Technology course at City, is that we knew each other's names by the end of September so by the end of the year we’re all likely to be friends and have worked with other on projects within the course. I’ve also found that ensembles are also a way to meet people from other courses and we usually hang out afterwards to chat and socialise. My advice to new students would be: One way to avoid the stress that comes with moving out, is to do some research before you come: Make sure you look at all your accommodation options and ways of getting around. Accommodation closer to the uni might be more expensive but don’t forget to add your extra bus fair to your renting costs for further out! -Knowing your budget is also very important. Getting part-time employment in catering, hospitality and retail is a great way to support yourself while studying. 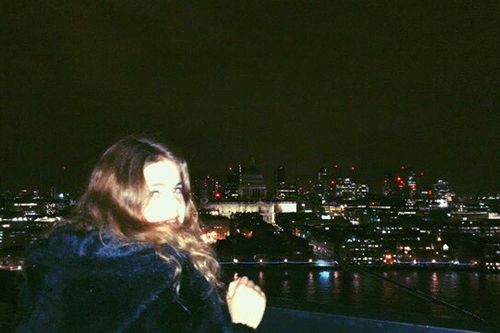 I was living in London before just before starting my studies so I would also suggest giving yourself some time before the course starts to settle in in London and at the uni so you can start a new chapter of your life stress-free.